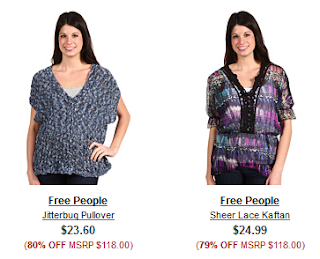 Beth Ann & Jessica's Helpful Savings: Free People up to 80% off at 6pm! 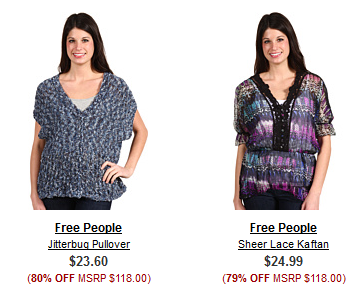 Free People brand at 6pm.com is up to 80% off! First: Go through Shop at Home and earn up to 5.75% cash back on your 6pm purchase and FREE shipping!